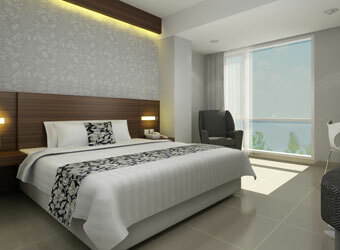 Bali, 21 March 2014 – Due to open in the middle of 2014, NEO Gatot Subroto – Bali is Archipelago International's latest boutique budget hotel; the new breed of affordable designer hotels in one of Bali's main business areas. Archipelago International are again expanding the ever-popular NEO brand, this time entering the heart of Bali's main business area on Jalan Gatot Subroto, Denpasar. Offering an atmosphere of relaxation and revitalization in a trendy but reasonably priced environment, NEO Gatot Subroto – Bali is set to be an icon in this bustling district. 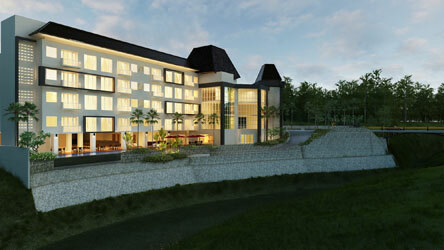 Located close by to central government offices, the eco-friendly hotel will consist of 112 modern Rooms and Suites, all of which are non-smoking. Business travelers can make use of the 3 meeting rooms, free high-speed Wi-Fi, express check-in & check-out and ample parking space. Down time can then be enjoyed at the hotel's swimming pool and the signature “Noodles Now” coffee shop. Additional facilities also include a hotel laundry service, a security key card system as well as 24 hour front desk facilities & security. “Bali and surrounding Indonesia is seeing an increasing need for affordable hotels fully equipped with complete facilities. 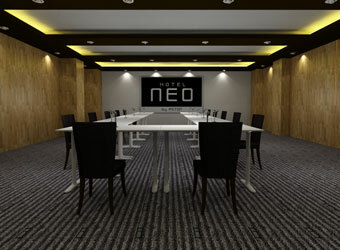 The breakthrough of our NEO hotels answer this demand by offering a chic hotel concept with amenities that are usually found in more expensive hotels. Considering that Bali remains one of the top tourism destinations in the world, we are confident that NEO Gatot Subroto - Bali will be another welcomed addition to our NEO portfolio” says Norbert Vas, Vice President Sales & Marketing Archipelago International. The next upcoming NEO Hotel in Bali will be NEO Kuta – Tuban, located in a prime tourist location close to the airport and the famed Kuta beach.